Whether you want to lie in the sun, sight see, or just get away from it all, United Airlines has the perfect place for you! Escape to beautiful Cancun and take advantage of these great low fares. You must purchase by August 4, 2006. Travel outbound from July 5, 2006 through October 28, 2006, with all travel completed by October 31, 2006. A two-night minimum stay is required, and a 30-day maximum stay is permitted. Search for your cheap fare to Cancun! Blue Bay Getaway & Spa – All Inclusive Cancun – 3 nights with air $568/pp. Blue Bay Getaway & Spa – All Inclusive Cancun – 3 nights with air (from DEN) $568pp. Now’s your chance to save up to $200 on select 5+ night all-inclusive vacations and fly, stay, drink and dine for one low price! Planning your beach vacation is a breeze with Orbitz. Stay at any of the following Occidental All-Inclusive Hotels or Resorts for 5+ nights and save $200 instantly using promotion code FALL200. Or Save $100 when you travel to select destinations in The Caribbean, Mexico, or Costa Rica and stay for 5+ nights using promotion code FALL100. Mexico VacationsFunjet Vacations provides complete travel packages to sunny Mexico. With a name like Funjet, how can you go wrong? Mexico specialists Funjet have an assortment of vacation packages at awesome prices. They’re experts and can help you assemble your dream vacation. Book air, hotel and the option of adding activities to do while you’re there. Enjoy a Mexican beach getaway to fabulous resorts in Acapulco, Cancun, Cozumel, Puerto Vallarta and Riviera Maya. Experience great beaches and visit Mayan ruins from ancient cultures. Lounge on the beach and enjoy the pulsating Mexican nightlife. Coming soon to an airport near you…or, at least, your favorite south-of-the-border destination, is vivaaerobus. This new airline is a start up with heavy investment from EU-based Ryanair. Operations should hopefully begin the fall of 2006, competing with both heavy-hitter AeroMexico for domestic, internal flights, as well as some U.S.-Mexico journeys. Monterrey Airport will the vivaAeroBus’ base of operations. Avalon Reef Club Isla Mujeres Cancun – 2 nights with air (from DTW) $511pp. This clearance-priced fare from Hotwire is one of the cheapest we’ve seen yet! Set out for a mid-week getaway and you can have a blast in Cancun at the Avalon Reef Club – Isla Mujeres. All inclusive pacakges include a room at the beachfront resort, food and beverages, a la carte dining, water sports/activities, evening entertainment, children’s activity program, fitness center, pools, resaturants and more! Ever since MTV Spring Break and the stories of the legal drinking age of 18 infiltrated our high school classrooms, we’ve wanted to go to Cancun. Now, we’re a little bit older (ok, some of us are a lot older) and we’re not so big on the all-you-can-drink clubs. We are, however, still impressed by Cancun. All of Orbitz best deals to Mexico! Trying to figure out where to go this summer? Three Mexican cities are on Orbitz’ top package picks, based on ‘coolness’ and – of course – awesome, awesome deals. Cancun: On the easternmost tip of Yucatan, reflections of a turquoise sea merge with echoes of a Mayan past. 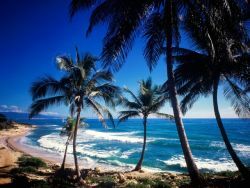 The sea’s treasures, the land’s delights… The largest hotel boom in recent years, linked to the charm of the Caribbean. Cancun: Mexico’s exotic Eden. For those looking to escape the hustle and bustle of Cancun, there’s the Mayan Riviera. Located about 40 miles south of CancÃºn, it offers fabulous vacations enhanced by modern comforts and conveniences. It’s hard to imagine a destination more richly endowed with cultural and natural wonders or better weather — as the YucatÃ¡n. If you’re a scuba diver, you have probably heard other divers talking about Cozumel in near reverential tonesand with good reason. Cozumel is a scuba diver’s paradise, truly one of the best spots in the world. Jacques Cousteau himself thought so. Besides the abundance of colorful live corals and psychedelic-patterned tropical fish, it’s the clarity of the water that makes this such an amazing spot. The splurging is on Continental Airlines Vacation with their newest deal! Book by Sunday, June 25, 2006 for a travel period of now to December 15, 2006 and you can be saving some big money on your trip to Mexico! With Continental Vacations, the vacation partner of Continental Airlines, you can knock off $150 on 4 night stays and $200 on 5 night stays. Every once and awhile, we wish we lived back in Minnesota, where it’s a hub for Norhwest Airlines. Not only could we fly direct, non-stop to a lot of places, we also go to get some good deals every now and again. A perfect example? 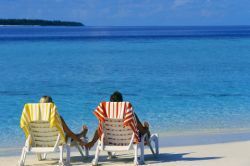 This one we saw today on TravelZoos Weekly Top 20 – it’s only $99 round trip, Cancun from Minneapolis. Cancun is the perfect launching off point for your cruise, overland tour or any Mexico vacation. Thanks to Worry-Free Vacations and TravelZoo for the deal. Beyond both these cities are miles of remote and rugged desert landscape stretching up along the Pacific coast to the west, and along the Gulf of California (Sea of Cortez) to the east. These adjacent areas, particularly the undeveloped East Cape area, offer a multitude of adventure sports opportunities. Non-Stop Flights to Mexico on Sale Through Thursday! Frontier Airlines has its non-stop flights to Mexico ON SALE! Hurry! These tickets must be purchased by 11:59 p.m. ET on June 8, 2006. Travel only valid on non-stop flights. Tickets must be purchased in advance of travel. Mexico and Caribbean $150 off! Now that spring break season has passed and all the scary college students have returned to the states in search of a summer internship, job, or three months of mooching off of mom and dad, we’re ready to venture back to Mexico – especially since CheapTickets is still running their Mexico and Caribbean sale! Locations include PV, Montego Bay, Cancun, Nassau and more! $150 off 5+ nights in Mexico & Caribbean! Travelers can treat themselves to a well-deserved escape to the sun and save a total of $150 when they choose from a great selection of vacation packages to Mexico and the Caribbean. Save $150 off a flight + hotel stay of 5 nights or more in Mexico or the Caribbean. 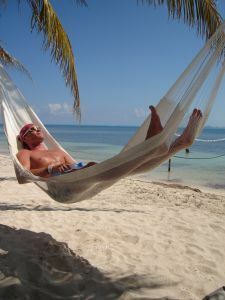 To take advantage of the CheapTickets Mexico and Caribbean sale, customers must book their travel between May 5 and May 19, 2006 (using promotion code CHEAP150), and complete travel between May 5 and June 30, 2006. CheapTickets.com, one of the leading online agencies for cheap travel, has introduced a quarterly off-season travel report featuring top destinations with reasonably priced off-season deals. For travel in May and June, save an average of 11% on your holiday vacations to Cabo San Lucas, Mexico. Orbitz is celebrating the summer in style, putting two of the most popular winter destinations on sale in hopes of filling up hotel rooms. For us budget hounds, that’s all right by us. Until May 29, you can grab a Mexico or Caribbean Vacation (already great package deals) for $150 less! Choose a package for 5+ nights on travel dates that finish before June 30, use promotion code WAVE150 and you’re all set! Travel websites are a clique-y bunch. When one does something, the rest have to follow. This week, Priceline is jumping on the Caribbean and Mexico bandwagon. Now when you book a package to Mexico or the Caribbean by April 16, you’ll save even more with an instant rebate up to $100 in warm relaxing destinations like Aruba, Cabo and the Bahamas. Get a $50 instant rebate for packages between 4-6 nights , and a $100 instant rebate for packages 7 nights or more. You must book by April 16 and travel by June 30. Mexico is the next warm-weather destination to be at this spring! Through Hotwire, you can save now when you book your getaway – they offer exclusive hotel rates: 3-star from $72 and 4-star from $88. If you prefer a package, make sure to check out sun-sational air + hotel packages: 3-star from $363 and 4-star from $372. In order to take advantage of these warm weather escapes, you must book by April 30 for exclusive discounts on travel between April 17 and May 31. South of the border is heating up with Orbitz offerings on awesome vacation packages in Cancun and PV, Mexico. Cancun can be as rowdy or as chill as you choose: There are bars, restaurants and clubs to keep you busy for a year. Or take a thousand and discover the richness of Mexico’s ancient Mayan past all along the Yucatan Peninsula. 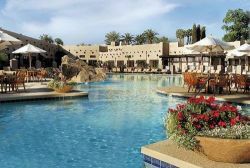 Relax at an all-inclusive 4 star resort from $687. From spicy salsas to mouth-watering margaritas, you’ve got to head to the source for true south-of-the-border flavor. Now you can book a four-night Flight + Hotel package to Mexico using your MasterCard(R) card and get $100 off your trip. Book now through March 28 for travel between March 15 and April 30. Note that prices are per person and require at least double occupancy. All bookings are nonrefundable and nonchangeable. Hotwire has some hot rates on their trips to Cancun — the spicy spring break destination isn’t just for college students looking for a cheap place to drink and party. In addition to the hard-hitting bar scene, there’s the nearby Tres Rios Ecopark, Museo de Arte Popular Mexicano, and a number of spas, dive centers and fishing shops. If you’re heading to Mexico, read up on BootsnAll’s Mexico Travel Stories before you go. Find Cancun vacation packages from $527 (air + 4-star hotel included). 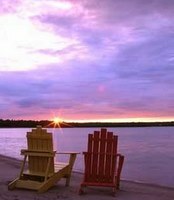 Book your beach vacation through Hotwire this spring and save. Book now through March 28 and travel between March 15 and April 30 and you can get exclusive hotel rates with 30 to 50% savings and tropical air + hotel packages from $568. Spring is an amazing time to visit these beach locals – the snow bunnies have fled, taking with them the crowds and high prices, and the searing heat of the summer has not yet descended. Prefer to create your own package? Look at these deals: Fares to Mexico Have Headed South! Fly RT $237+ Go South of the Border on AeroMexico! 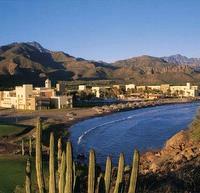 Warm up in Mexico: February vacation packages from $495. Mexico just got even more affordable this winter. For only $495, you can have a perfect winter escape to the sun, sand and awesome beaches of Mexico. Trying to figure out the best city to visit? Check out BootsnAll’s Mexico travel guide. Winter blues getting you down? Hop on a plane and head to Mexico. Travelocity is enticing new year vacations with fares as low as $367 to the United States’ warm and sunny southern neighbor. Don’t wait too long to book your first trip of 2006 – the sale ends on January 22. Need some more convincing? Check out BootsnAll’s Mexico Travel Guide. 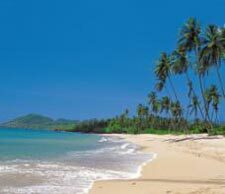 For up-to-date Orbitz specials, please check out our Orbtiz Deals Page! Head to Mexico for a long weekend at a price that will make you want to stay longer. BeachDestinations is offering a fantastic deal: Save up to 35% at the all-inclusive El Pueblito Cancun: 3nts + air from $399*. The specials change often, so book now! Mexico Travel Package Deal from Expedia! Enjoy 4-night air/hotel trips from $406 (Offer good through 3/2/04) Book your Mexico trip now and received special bonus offers!